We are live tweeting a fusion attempt today. Olivia Koski, a science journalist student is here to document. 2 hours of bakeout prior to metered trial. 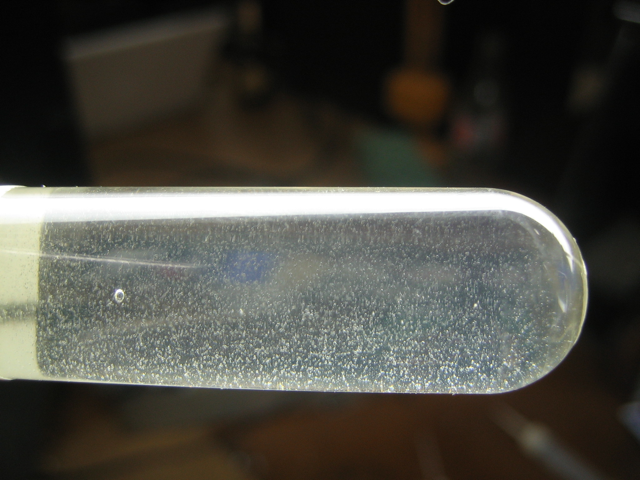 Calibration on the bubble detector label: BD-PND, 25 b/mrem(2.3 b/uSv). Bubble detector is 95mm from the center of the grid. Using twitter as an experiment log worked very well. It helps capture details you notice along the way with timestamps. Previously the glass tube was just hanging there waiting to be broken off. These upgrades are all about murphy’s law – getting the equipment secured and off the ground prevents an accidental kick from disconnecting wires. I’ve got plenty of 80/20 left for improvising rigs in the future. Here are graphs from the fusion run. The x-axis is time in minutes. I used google charts to produce these graphs. This code produces the chart from data in mysql. This code transforms the voltage reading to its corresponding instrument value. I’m not certain this is all working correctly, but it seems to add up. One oddity: the voltage drops into the negative; perhaps from disabling the high voltage, I’ll have to confirm that. This is primarily an end to end test of the data acquisition system. 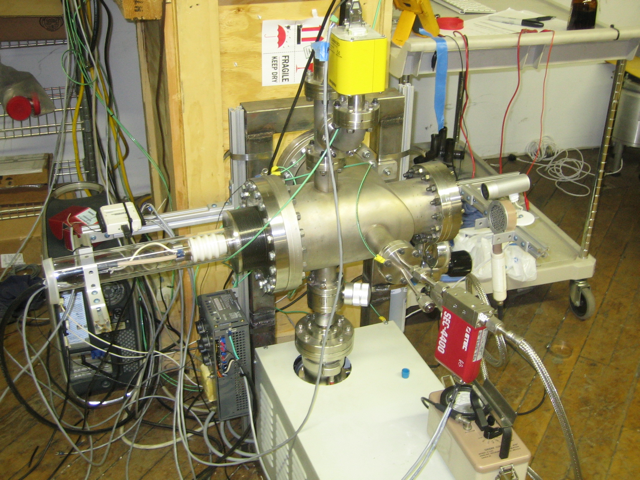 To clarify: the device we used for the recent fusion run is a Farnsworth–Hirsch Fusor. Ultimately we want to build and operate a Bussard Reactor (Polywell). 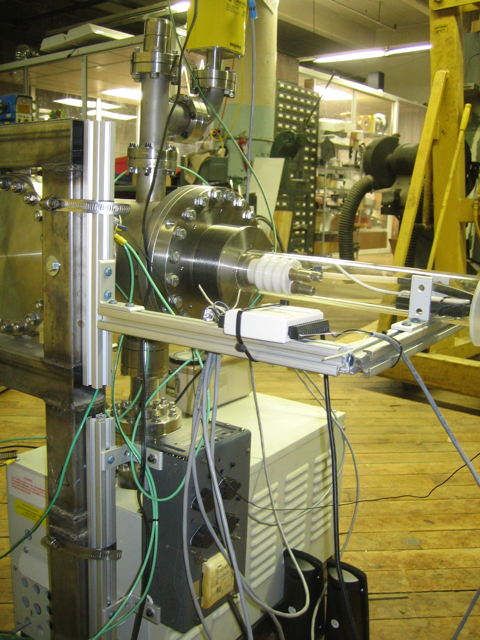 Building and operating the Fusor is a necessary step towards building the Bussard Reactor. The Bussard Reactor is an outgrowth of the Fusor, and the two devices have much in common. While we build the Fusor, we are also building the Bussard Reactor. 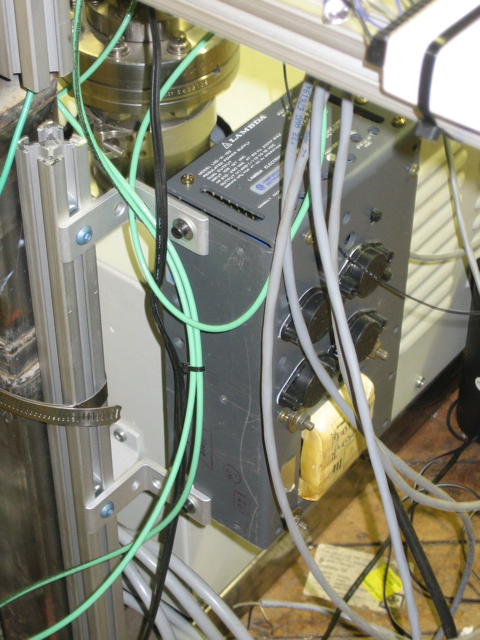 We have the first prototype of the magrid, and we are testing the superconducting cable. I had the Glassman power supply maxed out, and the deuterium pressure at ~9 millitorr. The plasma was borderline unstable due to low pressure. The focus of the plasma was maximal. There was a sharp uptick in activity from the geiger counter. The limiting factor was the grid kept heating up and glowing red. I had to cool it off to repeat each trial. I made headway with the command line program to control the fusor and record data in mysql via ruby. 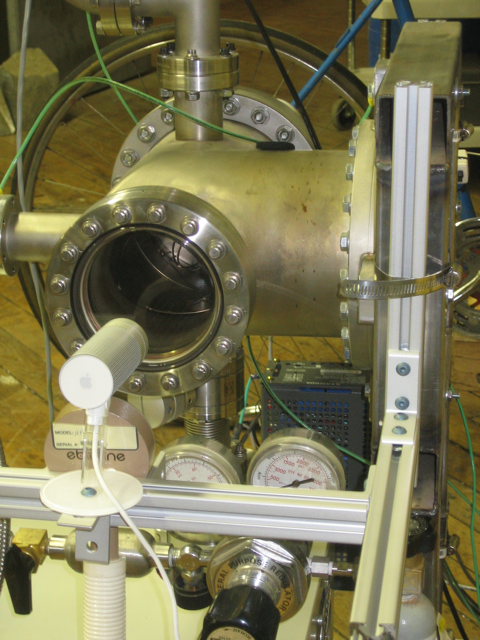 It’s currently setup to record vacuum chamber pressure, voltage and current according to the Glassman, and the effective flow rate of the mass flow controller. Currently I can enter commands to turn the high voltage on/off and set the flowrate of the mass flow controller. Next I want to control the voltage and current on the Glassman. It takes two D batteries. There is a BNC connector for headphones. I have a BNC connector on order with mcmaster. In the meantime I improvised a connection to some computer speakers to test it out. Seems to be working. It picks up the expected background radiation producing that erie clicking sound. You can definitely hear an uptick in the clicks when I run the Fusor. 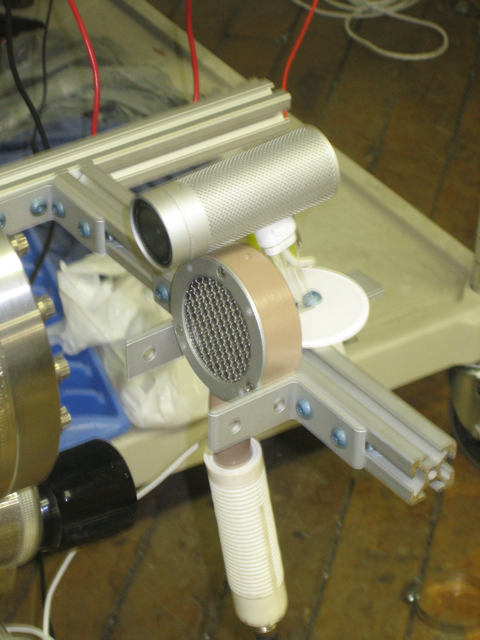 I’m working towards producing a comprehensive mapping of this device’s performance envelope using computer control to search the parameter space and record the results. This is all so fun and exciting.